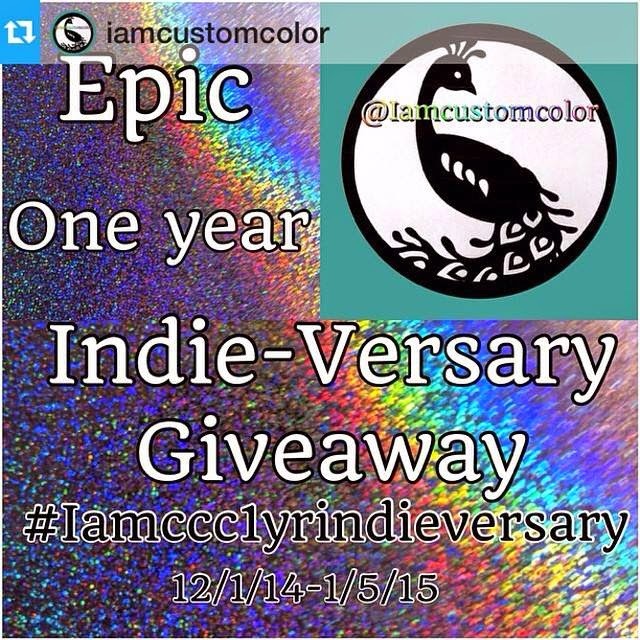 I am soooo happy to introduce the most Epic IAMCCC giveaway yet. There are 23 bottles of polish, 3 are holo top coats, a jolie clean up brush, top coat, cuticle oil, scrub, cuticle balm, 2 Moyou London stamping plates, earrings, lipgloss and so much more to come. I cannot wait to to choose the two very special winners and the slew of amazing sponsors, 14 in total already. Maybe if you are lucky you will even get a slightly used pug! I kids, but really, she is pushing into my side as I type this, making it incredibly hard to type, you want a pug right? Ok, Ya'll it starts tomorrow and ends on my actual Anniversary January 5th 2015! Stay tuned for more and the 30 plus opportunities you have to earn entries!